As we celebrate the Winter Solstice together, our beloved Jesus Sananda, Yeshi, delivers his Christmas message to the world. He reviews the past and brings forth the excitement of the future. Linda Dillon: Hi there! I’m Linda Dillon, channel for the Council of Love and I’m here to welcome you to the 2017 Winter Solstice Webinar…boy, that’s a mouthful. And on top of that this is really the vehicle that we’re using to bring you Jesus Sananda’s Christmas Message. So, we have a full plate today…but that’s just the way we like it, isn’t it? The Council of Love is like this huge umbrella group and it includes the ascended masters, the archangels, the seraphim, UFOG – the Unified Forces of the Outer Galaxies, many of these groups – the brotherhoods, the sisterhoods, so it’s like this huge umbrella with all these spokes. The purpose of the Council of Love, since day one when they introduced themselves to me, is really simple…it’s to instill and ignite love in each and every one of our hearts. It’s quite straight forward, isn’t it? So as we begin, as the channel and the vehicle, the transmitter, for the Council of Love, I want to give you my love in wishing you Happy Solstice, Happy Hanukkah, Merry Christmas, Joyous Kwanza. But even more important than that, I want you to know and to feel the love – not only of the Council but of your own sweet self, each and every day…each and every moment of every day…Jesus is correcting me! So, what a year we’ve had. I looked back at my notes in preparation for today and to Jesus’ message on our last Winter solstice, and he said that this, 2017, was a year when we would be adapting and really becoming adept at being our interdimensional selves. Now, I’ve seen it, I’ve seen it in many of you and I’ve certainly experienced that particularly on my trip, my journey, my spirit quest to Great Britain visiting the standing stones and so much more. But that was completely, not only a guided journey, it was completely interdimensional. As I visited the ancient places and the times that I have been there before and traveled forward in igniting Cities of Light and opening portals, it was phenomenal. Now, Jesus also told us last year that this was going to be a year of extraordinary fulfillment. And when I was making my notes this morning I commented…writing down, and I’m sure many of you feel this way…I just put a great big NOT and underlined it! But, in fact, that’s not true. We are in the time of fulfillment; we are in the fulfillment of the Mother’s Dream; we are in the fulfillment of our ascension process; we are in the fulfillment of the Divine Plan. But as the forward team, as the implementation team, as the pathfinders and the wayshowers, sometimes our impatience and our excitement, our eagerness comes to the forefront. I’ve asked Jesus, in his Christmas message, to talk to us a little bit about that, to fortify us, because he has a lot to say. It feels very serious, exciting, exuberant, but very serious what he has to share with us today. So, I hope you enjoy this channeling and I think, if we look back on this year in terms of, my goodness, a renewed Tsunami of Love from the Mother, an expansion of Her gifts of clarity and purity and grace, an expansion of Her gifts of awe and wonder and inspiration, which lead to the creation of the Inspired Self class, which was building upon the Core Issues class, which was building upon learning how to channel…I mean we have done a lot of work this year. We have learned greater understanding of what Universal Laws are about and the biggest news of all…I almost forgot…is that we’ve come to the completion of this cycle of 12-12. We have been stuck – my word – in this cycle of 12-12 since 1993. So, that’s not talking about dates, that’s talking about cycles of spiritual, human evolution. And I don’t even think it was a coincidence…because we all know there’s no such thing…that our initial belief or hope in having our ascension was on December 12, 2012, some of you thought December 21st, on the solstice, so there has been this cycle of completion that has been going on for a long time. And certainly within that we’ve had these years of extraordinary change; 2010 we had our year of freedom; 2017, last year, this past year that we’re just completing, it was this awakening time. So, here we are and, like you, we are ready, eager to go forward. And we’re going forward together as one planet, as one collective of Nova Beings, Gaians, and it’s an amazing time to be alive. And as we go forward in the creation of Nova Earth we know, not only are we accompanied by the unseen forces, by the Company of Heaven, by the Council of Love, but we’re accompanied by each other. And we can turn to each other and depend on each other, and even if we feel, at times, that we’re isolated, that we’re living in a small town where people don’t really understand our use of language or belief systems, we have each other, we have this community, and we have this connection. So, let’s go! I will come and see you at the end, but for this moment I will step aside…and before I do simply know and open your heart to this message…it’s a biggie! 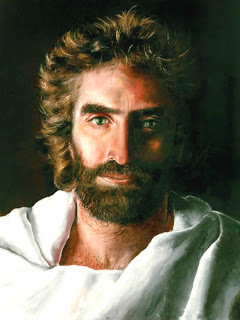 Jesus Sananda: I am Jesus Sananda. Welcome, welcome my beloveds, my brothers and sisters, my allies, seekers and knowers alike, because you do not know unless you seek and you do not seek unless you know enough to seek, because there is always more. This is a time of phenomenal expansion and I am overjoyed, happy, to be having this time with you, this time when the world stands still, when there is balance and equality and yes, freedom…I haven’t forgotten, have you? No, I don’t think so. It is when the sun and the Great Central Sun shines directly upon you. The longest day of the year is met the next day with the rising of the sun. Out of the darkness comes the light. Out of the darkness comes the new beginning, the new tomorrow and that is what I want to talk to you about …new beginnings, fresh starts, completions, yes. This has been a year, and I would suggest several years, of extraordinary change. And the greatest change, my friends, has come from you, has come from the sweetness, the kindness, the comfort, the nourishment of you, of the expansion of your divine self…the acceptance, the surrender, the embrace of your divinity. Yes, you come to the time of completion and it is not merely the completion of 11-11 or 12-12, those magnificent portals and openings to new energies for the entire planet and the entire solar system for that matter, it is the completion of the old, it is the completion of what you’ve known. Years ago, many years ago, we have begun the introduction of the 13th Octave, that you would know – without dying, leaving this physical body – what it would mean to be in the essence and the experience and the truth of Divine Union. We have anchored that for twenty-two years, yes, a mastery number…we may not give accurate dates but these numbers are known throughout the multiverse. This energy has been bestowed upon you, integrated into your very core, shifting and activating your physical and your spiritual DNA because there is no separation. So, you ask me, you say, “Yeshua, Yeshi, what comes after 12-12? What comes after the completion of 12-12?” The new beginning is the 13th Octave. The new beginning is living in form, in physicality, in attitude, in behavior, in action, in life, in relationships, in institutions, in societies, in nations, in the essence of Divine Union. And what does that mean? It means living in love. It means being the love. Many of you turn to me and you say, “I was looking for greater fulfillment.” What greater fulfillment can there possibly be, my sweet friends and family, than love? What does it matter if you are financially fulfilled but you live in spiritually bankrupt nations and societies? What does it matter if you are fulfilled with inner peace…which is where it begins…but you live in war torn countries and planet, for that matter? This beautiful Gaia, this beauty of diversity, the playground for the angels, has become and has been one of the most warring planets throughout the multiverse. Not a day goes by when someone is not picking up a gun or a knife or a sword or a missile to kill another being. So, you cannot have fulfillment unless there is significant shift in all things. And where does that start? It starts with you! You have come forth, not only from the Mother’s heart but from mine, from the Magdalena’s, from St. Germaine, from the Buddha. We have been the mid-wives, assisting you every step of the way in this birthing of the New You, of your Nova Being and Nova Earth. What you carry when there is incoherent chaos, when there is insanity in so many nooks and crannies of this planet is you carry the love. Now what does that mean in very practical terms, because this is about living and continuing onward? It means tolerance, definitely means compassion, it means forgiveness, and it means joy, it means action, it means acceptance and surrender and those are actions. Without compassion and forgiveness and tolerance how do you form Nova Humanity? How do you form new communities if there is not deep abiding tolerance, and might I say, deep, caring, kind consideration of those who are different from you, those who carry different gifts, different burdens, different experiences, different points of view? If there is not extreme tolerance, extreme love, extreme forgiveness, then you do not have Nova Earth. The Cities of Light are already forming in tangibility. You are the anchors of this new world. You are the completion of what we began so long ago. In this year of 2017 there has been an enormous revealing coming to the surface, which had to occur, of that which is not of love and you have seen it in every walk of life…no, I do not mean simply in the United States of America and the chaos that has been so apparent there…it has been in every country and every nation and in every society. There is upheaval and that is good news because that which has been hidden is now visible. When it is visible it can be addressed. When there is denial, when it is hidden, there is often refusal to, not only look at it but even to discuss it, let alone change it. So, everything has come to the forefront, as it had need to. My beloveds, this has not come to the forefront for you to participate in any way, shape, or form in that incoherent chaos, in that disturbing, distracting insanity. The slightest engagement is engagement. You are the holders of the Mother’s Dream…the wellspring of love. So, when you make a situation an ‘us and them’, that there are good or bad or evil or dark beings, then you are engaging in that chaos, you are contributing to the old paradigms of hatred and greed and lack and limitation. No, it is not about denial of what is truth and what is occurring, but it most certainly is not contributing to it. Even within the lightworker community, the love-holder community there has been a great deal of this assignment of fault and blame and shame. Beloveds, there is no place for it. Do not, I beg you, engage in negativity. You are the holders of the Dream; you are the holders of our Mother’s Dream. Yes, we are as well…that is part of our sacred partnership, that is part of our bond. As love, as this new beginning of love emerges and blossoms…yes, it is growing…as that blossoms there is a new paradigm, there is a new realm of existence. So, I also come this day to open your heart more fully to the unity of love, the unity of All, and I transmit this from my heart to yours energetically, yes symbolically with my two fingers to your heart, to the infinity from my heart to yours. But, I am also doing this in actuality so that you may shed whatever residual of the old that you may have carried, that you may be the love that you have always been. I place my magenta heart over-lighting your beautiful heart, over-lighting and combining, conjoining, with your beautiful tri-flame, with the Blue Diamond of the Mother, and the Gold Diamond of our Father, and especially and particularly with your Pink Diamond self. It is not egoic, it is not of conceit, it is not bragging to accept the wonder of who you are. When the Mother has expanded the gifts of wonder and awe and inspiration, it has not just been for you to see the wonder of this incredible planet, the beauty and the inspiration of nature…which is beyond belief. It was not just to see the awe and wonder at the Divine Plan, this expansion, sweet angels of light, has been for you to reach a place of awe and wonder, and acceptance, and surrender, and activation of your magnificent self. It matters not whether you are earth-keeper or hybrid or star being, whether you are portal or gate keeper, you are phenomenal and you are competent. Often I hear from you, both as muttering and as cries in the night, you say, “Dear Lord, I want to be with you. I want to do the fulfillment of my mission and purpose. I want to be the implementer of the Mother’s Plan. I want to walk with you…but I don’t know how.” You are denying your competence, you are denying your abilities and your capabilities, your talents, your light. Not a one of you came without the ability to, in fact, complete…not just in fortitude and putting your head down and walking and working…but in joy, in laughter, in ease. You came here with the full array, the full tool kit of what you needed. We have expanded on that…we have given you the Creation Codes, we have shared with you, Sanat Kumara has shared with you, an infinite array of the Universal Laws and how to use them and yes, he will be teaching you in greater detail – that is his promise and mine. But you have what you need, you always have. Now, did you always know it? No. But do you now? Yes. You cannot be tolerant and compassionate and forgiving of those who truly have created the chaos, who have gone astray, on scenic detours of monumental proportions…you cannot be tolerant if you are not in the wonder, the awe, of who you are and in that expansiveness, in the unified energy, do you not wish to show them, to bring them up and share with them so that they may see the magnificence of who they are? Many of you have said, “Why have we not had full disclosure of star family this year? What on earth has been the holdup? We are so anxious to be with our brothers and sisters.” But if tolerance is not fully present, if there is not a modicum in the teeter-totter balance in the stillpoint, if there is not tolerance of one another, then why do you think that there would be tolerance of your star family? The wisdom that they bring to you, and they have already been bringing to you, particularly with their Porlana C, but the technology, the science breakthroughs, the energy, the boots-on-the-ground that are in every sector of your society, why do you think that they have not fully disclosed and announced themselves? Because they would not be tolerated. Because they would be considered outsiders and you know, my beloveds, there is no such thing as an outsider…and that includes those who have perpetrated great misdeeds. You are them and they are you…that’s the good news. As clear and filled with grace as you are, that is their essence as well. Are they caught in the charade? Yes, but it is dissolving. That is why it has come to the surface so that it is simply dissipating like vapors from a boiling pot. It is not about, nor is the Plan of the Mother about punishment, about shunning, about excluding. None of that is of love. And I know as I walked this planet…with many of you my beloved friends…over two thousand years ago, I know what it is to be dismissed, and to be shunned, and to be thought of as different. Many of you know, in this lifetime, what it is like to be shunned or dismissed or dissed because of your belief systems. So, do not in any way buy into those who wish to create systems of punishment, systems of exclusion. That is not part of the new beginning and it will not be tolerated…yes, tolerant does have limits. What is not tolerated is war and murder and abuse. But that does not mean that those who have perpetrated it out of egoic misdeeds, or even the darkest soul…they are the lost lambs…and I am assisting you, in form, of bringing them into the fold. The new beginning is for everyone. The new beginning is literally a new time on earth, when peace and love and joy and fulfillment…in every meaning of that word…will reign. You say to me, “Yeshi, how is that possible? It still looks like a mess.” Everything is in order; everything is being cleaned up. When a cycle comes to completion it is not one day to the next, but it is a mark in time when that portal and the work of that cycle of existence has come to an end. And it is with joyous good news that I tell you we are beginning a new cycle, a cycle of thirteen, anchored in Divine Union and anchored in the love of the 13th Octave, anchored in the love of who you are. It is a time, sweet angels, of action. We have all issued our clarion call…from Gabrielle’s golden trumpet, to Michael’s urging, urgent urging, to my invitation to please walk with me, let me walk with you, to Sanat Kumara’s gift of the Universal Laws, to St. Germaine’s expansion of the Violet Flame, to the tools of creation, to the Codes of Creation. What you need to do…it is the practical question… in this time of decision, do not be hasty but begin, begin to live your dream and do not believe, do not buy into what you think of as restrictions, because there aren’t any. When you feel, if there is a moment that you feel that you don’t know which way to turn, that you’re uncertain…because this is about certitude, this is about the assumption of your knowing, of your divine authority, of your mantle of authority, this is about you becoming the fullness of your inspired self, this is about you being the inspiration to the entire planet…yes, you! So, if you are uncertain, if you aren’t quite sure, turn to me, turn to the Mother, turn to Uriel…yes, he is the keeper of Divine Authority, turn to any of us, any of us who love you so completely, so deeply, so passionately. Just stop, pause, you may not hear my voice in this way, but the knowing of how to proceed will be there. It will be there whether it is what to purchase at the grocery store or how to heal the hearts of humanity. And so we begin. Think about it…the last time we really talked about a new beginning, a fresh start, a shift, a shift in humanity, was when I came to planet two thousand years ago. That was the last time we talked about a new beginning. The energies and the openings of Atlantis have already started…that is why I took the channel on this journey, a spirit quest. That is why the Cities of Light are emerging. That is why you are feeling different. Allow this expansion, sweet angels of my heart, allow this expansion to take place. Allow this expansion, allow me to open your hearts. Allow this heart awakening to occur today, on the solstice of the winter light and the time of new beginnings. Allow my love to flood you. Allow it to join with your love and to dance and express across the universe, in service to the Mother, in fulfillment of Her Dream. And Her Dream is our dream, is our purpose. Go with my love. Accept my love. Farewell. I will see you soon, you will know me…you always have. Go in peace and go in explosive, raucous, joyous celebration. Farewell.